The BagShare was founded in 2007 by Leni Fried. Now implemented in many towns, the latest initiative arose when Adams, MA passed a plastic bag ban. The local BagShare Project uses recycled materials — mainly plastic woven feed bags and used irrigation tubing — to create free reusable bags for consumer use. 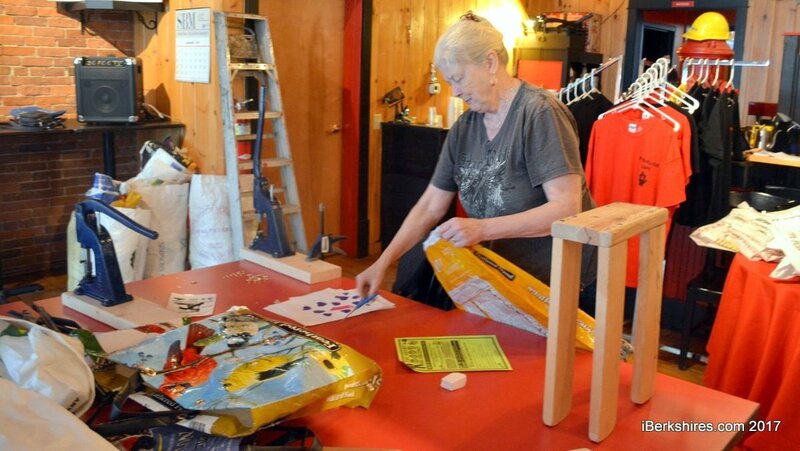 Brought to North Berkshire by Leni Fried and Mike Augspurger of the Old Stone Mill, the town’s taken up the challenge to create a sustainable bag for every resident in Adams ahead of the plastic bag ban that goes into effect on March 30 for larger retailers. 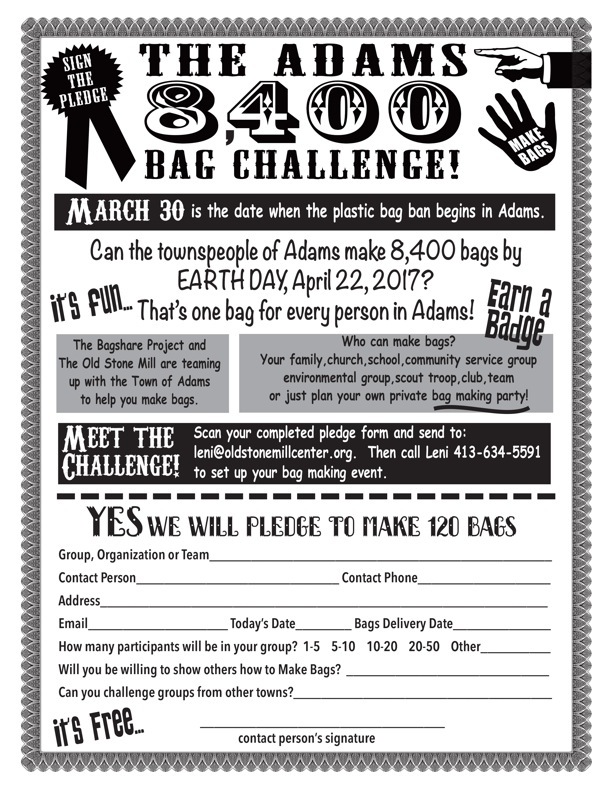 The town and the Adams Arts Advisory Board, in conjunction with the Old Stone Mill, is calling on organizations, businesses, colleges, civic groups, schools, neighborhoods, congregations and individuals to pledge to make 120 bags. It’s not just for Adams — anyone interested in helping out can join. Mazzucco said the town’s employees are challenging North Adams to make bags. The Old Creamery in Cummington became one of the first stores to stock the free bags and donated recycled totes. The store was using 49,000 paper bags annually; since 2009, it’s been offering boxes or free bags and is saving about $5,000 annually. “It’s really quite simple to do, a bag probably takes 10 minutes to put together,” Riley said. “When you think about keeping stuff like that out of landfills, it’s wonderful. ”Given the farms we currently have in the community and our agricultural history, it ties in very well to who we are and what we’re trying to do,” Mazzucco said. ← Skills through exploration with Youth Center, Inc.